It's guilty until proven innocent on our latest episode, as we plead our cases in a couple of courtrooms. We offer a flimsy defense for two films where family defend their own in a court of law with My Cousin Vinny and Conviction, but in true War Machine vs. War Horse fashion, one will fry. 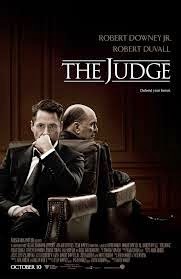 First though a little pre-trial hearing with the new release The Judge. GUEST: Peter from Hydrate Level Four and The Flash Pod joins us to talk Academy Award conspiracy theories and where to record for the best podcasting acoustics.